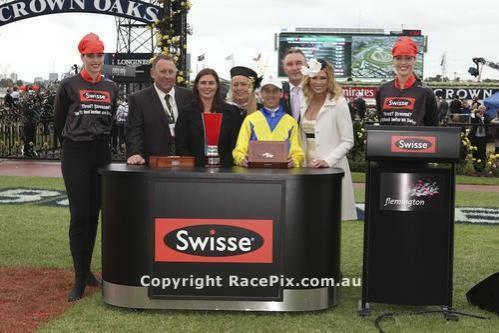 Firstly congratulations to the winning owners of Rocking Force who won the Listed Swisse Vitamins Stakes at Flemington on Oaks Day. It was an interesting week as he had been balloted from Flemington on Cup Day and then ended up 1st EMg on Oaks Day. Luckily for us with the scratchings we gained a start and Rocking Force was just to superior on the day with Steven King riding a perfect race. Going into the race we had confidence in him as he always runs well and the race on Thursday did look fairly even. Winning a Listed Race on Oaks Day certainly gave all of us the biggest thrill that we have had so far and we are looking forward to the next one.